Online Reputation Management is not about just handling social media pages or making engagements it is more than that. Some people are not even aware of what Online Reputation Management can do to their business. At HawksCode we are well aware with the ORM and its working. We work on it with our team that make online presence and reputation for your brand. There is making of your ORM when you daily mark your presence on Social Media and also keep connected with your users. HawksCode team will help your business to make connection with your users. They love to make interaction with company they are trusting. They make this connection via your Facebook page, blog posts and twitter post. These are the easy way to share your ideas and their review. Not just this forum play another big role here for building the presence in the market. 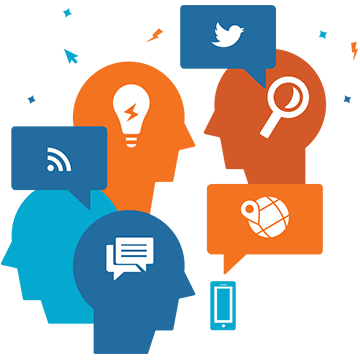 HawksCode has team of SEO, SMO to handle your social presence on the Internet. Also a team of developers and designers to make interactive and fully functional website. This website will serve you with the purpose of traffic and transparency building. This negative reviews are just because you have fired someone in last few month and it is their frustration only. This frustration is not good for health of your business and that where our team come to keep you safe from these. Our professional will make sure that your reputation will always remain good and reflect your work and quality. Our team will always be in touch with you to keep your channels and blog up to date. This will also keep your users/ customers updated with your work.